UNCOMPROMISED PERFORMANCE MEETS INDUSTRY-LEADING SAFETY INNOVATION IN OUR FULLY REDESIGNED FLAGSHIP SEDAN. Explore the Lexus Safety System+ A upgraded systems and world-first technology and discover our vision for the future of intelligent road safety. The fifth-generation Lexus LS will premier our brand-new Lexus Safety System+ A. This top of the line technology will feature world-leading innovations designed to seamlessly support your driving, giving you a smooth and confident driving experience while taking a giant step toward eliminating traffic casualties. The new Pre Collision System includes our world-first Pedestrian Alert and Active Steering Assist to provide intelligent safety support while you drive. Pedestrian Alert constantly scans the road ahead for pedestrians. If a person is detected, the system will notify you of their direction via an animation on the LS’s large colour Head-up Display (HUD), keeping you constantly and intuitively informed while you drive. Active Steering Assist adds a new layer of safety in the case of a possible collision. If a collision is imminent, the upgraded system will alert you to the hazard and swiftly determine the appropriate response*, from automatically applying brakes to steering you out of harm’s way. Our world-class engineers have updated Lexus CoDrive by adding the new Lane Tracing Assist (LTA) to the existing Dynamic Radar Cruise Control. LTA traces the path of the vehicle ahead, keeping you in lane even when there are no road lines or our lane line detection can’t recognize them, e.g. on country roads or in stop-start city traffic, providing seamless assistance no matter where you drive. 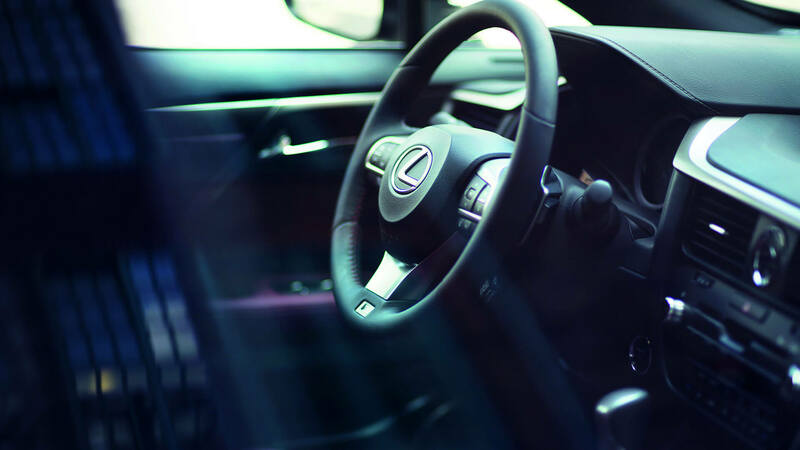 By intelligently and seamlessly reacting to your driving style and intentions*, the upgraded Lexus CoDrive not only improves safety but also gives you a smoother, more confident driving experience on the road. Time doesn’t stand still, and neither do we. We’re constantly anticipating changes to the driving landscape and upgrading and innovating the future of safety. The Lexus LS’s Automatic High Beams have been upgraded with the new Two-stage Adaptive High-beam System giving you finer control when you drive at night. Plus, the improved Lane Departure Alert is now capable of detecting the boundaries between asphalt and other surfaces such as grass, dirt and curb stone. Our world-class engineers have also included brand new innovations, including the Front Cross Traffic Alert to prevent collisions at intersections, and our Road Sign Assist that inputs road sign information into your HUD, keeping you intuitively updated while you drive. Find out more about the all-new Lexus LS sedan and discover the road ahead for safety innovation. *Do not use the Lexus Safety System instead of normal driving under any circumstances and please read the instructions before operating the system. The driver is always responsible for driving safely.